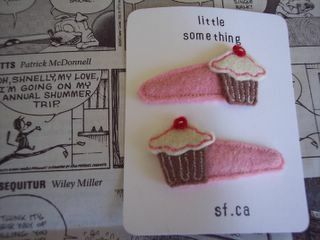 I couldn't resist these felt cupcake clips at CandyStore. In other news, I finished reading Harry Potter and the Half-Blood Prince. Now I just have to wait for the seventh and final volume. They look so good I almost ate one.